Clara Schumann (maiden name: Clara Josephine Wieck) (1819-1896) was a German pianist and a composer and the wife of the famous composer Robert Schumann. Clara Schumann was born in Leipzig in 1819. She was the daughter and student of Friedrich Wieck. 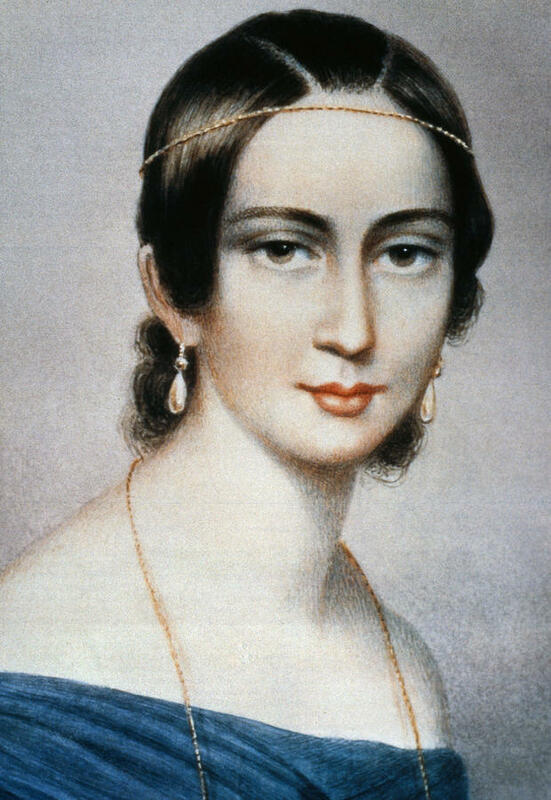 Clara Wieck loved Robert Schumann but in Germany at the time, a daughter needed her father’s approval to wed. And Friedrich Wieck refused to give his consent believing Schumann wasn’t good enough for his daughter. But after a four-year struggle and taking Wieck to court Clara and Robert were finally married in 1840. And she was Clara Schumann for the rest of her life. She lived in Berlin in the years 1856-1863. She was also the teacher of piano at the Hoch Conservatory in Frankfurt from 1878 to 1892. Clara Schumann played her last public concert in 1891 at the age of 72. 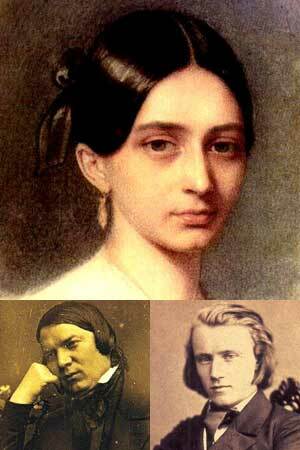 Clara Schumann and Johannes Brahms got acquainted in 1851. At that time, Brahms was 18 years old, Clara Schumann was over 30 and her husband, Robert, was young Johannes’s music teacher. The relationship between Clara Schumann and Johannes Brahms originates from Clara ‘s admiration of Brahms’s own talent. Brahms met Robert Schumann in Düsseldorf, Germany. Discovering Brahms as a great future talent, Schumann led Brahms on his musical journey. Brahms also had the honor of living with his beloved teacher, being in contact with the massive library and receiving sincere career advice from Schumann. Brahms’s relationship with the Schumann family was so much more than just teacher and student. Brahms performed with Clara Schumann. 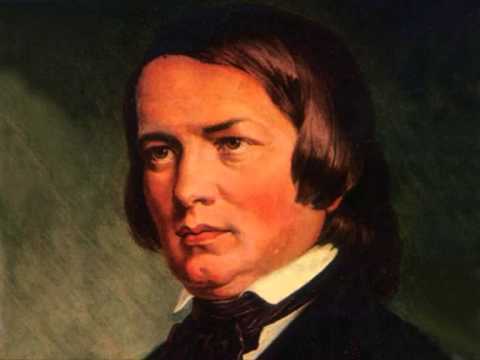 Brahms also helped to take care of Robert Schumann ‘s family when he was in the asylum. However, the important teacher in Brahms’s life was not able to overcome the severe illness and took his last breath on July 29, 1856. From that moment Brahms became the patron of the Schumann family—of Clara Schumann and her eight children. 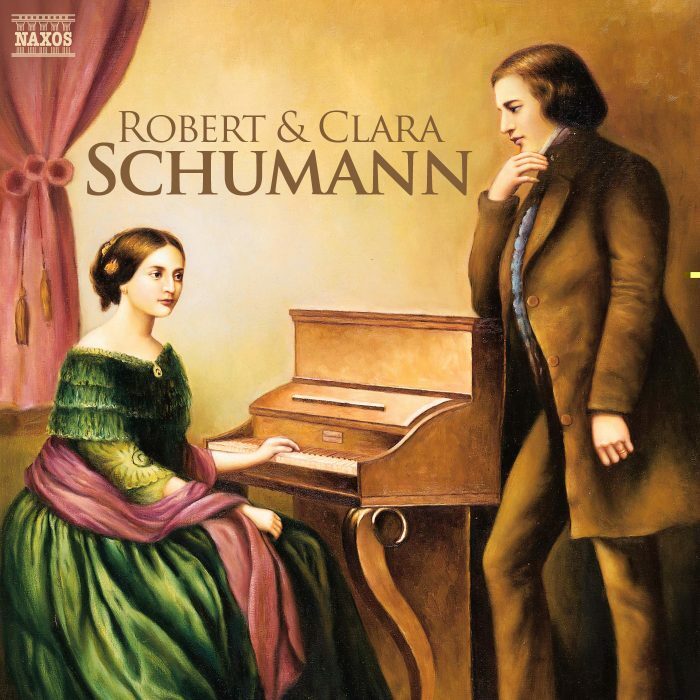 The death of Robert Schumann was a great loss to Clara. She was unable to perform and took no interest in social activities. In that moment, Johannes Brahms gave her timely encouragement. Brahms helped Clara regain her purpose in life and she once again performed. From that point on, the two exchanged letters. They shared thoughts about family and about music. The words in the letters were very intimate, evoking a pure relationship, making it difficult for others to think badly about it. Brahms’s love for Robert’s wife flourished. And Brahms cherished that love until the end of his life and it had a profound impact on all his works. Why was Brahms’s proposal rejected? 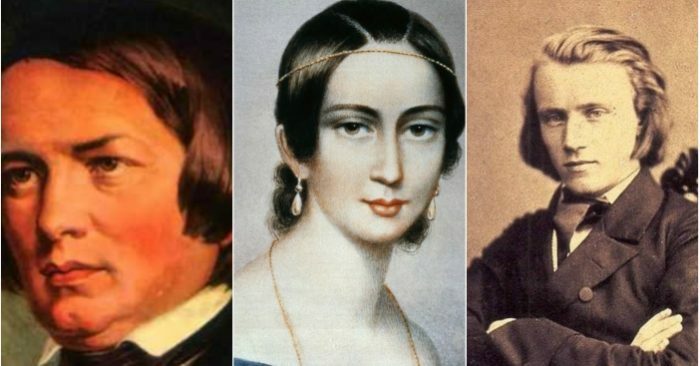 When Brahms proposed to Clara Schumann, he was rejected. Brahms at that time was a well-known composer, if Clara were to marry Brahms, it would have produced rumors that could affect Brahms’s career. On the other hand, the silhouette of the passing of her beloved husband casted a too big shadow on Clara, she was reluctant to board a new married life. So Clara accepted her life as a widow. 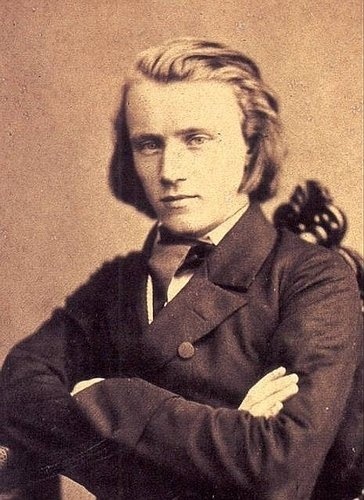 A spiritual fulcrum, a gifted talent and a noble heart – those were the characteristics, that made up Johannes Brahms. Brahms closely watched what happened in the Schumann family. 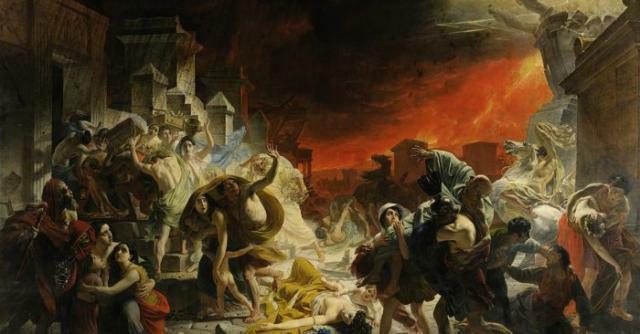 When each of Clara’s four children died, Brahms reappeared to restore Clara’s spirit. When Julie Schumann married, Brahms wrote the Rapsodie for the female lead, chorus, and offered the symphony as a gift. “He came as a real friend, shared with me all the sadness; he made me stronger in times when my heart was broken. He was a source of encouragement and made my thoughts clearer.